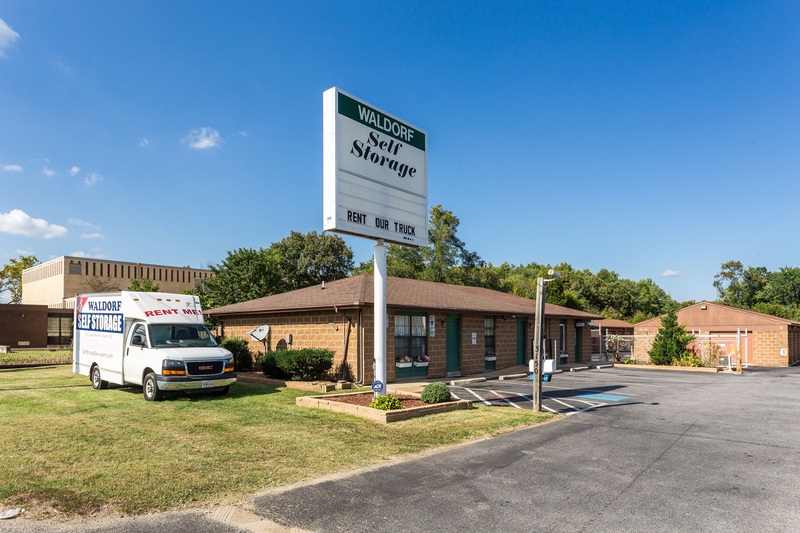 Waldorf Self Storage | Self Storage Services Inc.
Waldorf Self Storage is located on the north side of Leonardtown Road, right next to Dominion Tire Co., allowing us to serve the communities of Waldorf, St. Charles, Brandywine, La Plata, White Plains, Delight, and others in Maryland. We’re just off Crain Highway (Route 301), so come and visit us! Did you just move to the Waldorf area and need to store a few items in an affordable way? Look no more! Located in the quickly developing area of southern Maryland, Waldorf Self Storage is the ideal place for new and permanent residents of the city. Our property is locked at night and equipped with electronic gate access to prevent break-ins. In addition to offering 24-hour video surveillance, our professional on-site manager is happy to perform checks of the facility to make sure everything is running accordingly. We offer vehicle storage spaces, too! Whether you only need to store your car without driving it for a couple months or you’re looking to put your RV away over long periods of time, our team can help. If you’re a college student from the nearby College of Southern Maryland, you can also use our facilities to store extra belongings during your school year. Whether you’re storing your vehicle or your books, there are a few things you should do before starting your next self storage experience, so get in touch with us! Se habla Español.